Liverpool U23 left-back Adam Lewis has signed a new long-term contract with the Reds. The highly-rated member of Neil Critchley’s side recently went to Marbella with the first team, who he has been training regularly with at Melwood. He is very highly thought of by Jurgen Klopp and his staff. 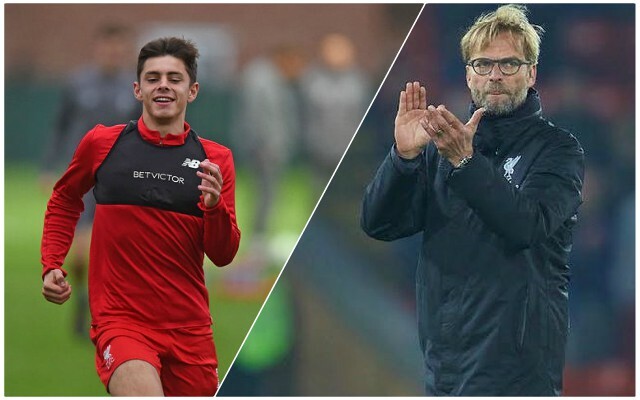 The 19-year-old has been touted as being a ready-made replacement for Alberto Moreno, who is expected to move on in the summer. Being the back-up to Andy Robertson is a very real possibility for the Scouser, who started out at the club’s Academy at the U6 age group. He’s also capable of playing in midfield – the position he has performed excellently in for the majority of his youth career – which would make him even more valuable to the squad, given his versatility. Lewis is just one of a number of youth players who could make a big impact next season. Rhian Brewster is another who is expected to step up to the first team once he returns from a long-term injury. There could be a few new faces to keep an eye out for this summer who will be looking to settle into the squad before next season.